Kusi Kawsay is a school that provides quality and dignified education rooted in Andean traditions to economically challenged, vulnerable, and at-risk Indigenous children and youth from Pisac and the surroundings communities. The school is part of the Andean Legacy project, which strengthens the pillars of Andean life through classes, workshops and training, and involves traditional Andean music, dance, songs, Quechua, sacred geometry art, textile and basket weaving, nutrition, medicinal herbs, women’s empowerment, martial arts and ceremonies. Students are in direct connection with the arts that gave birth to their culture and with the land that they care for and nurture. 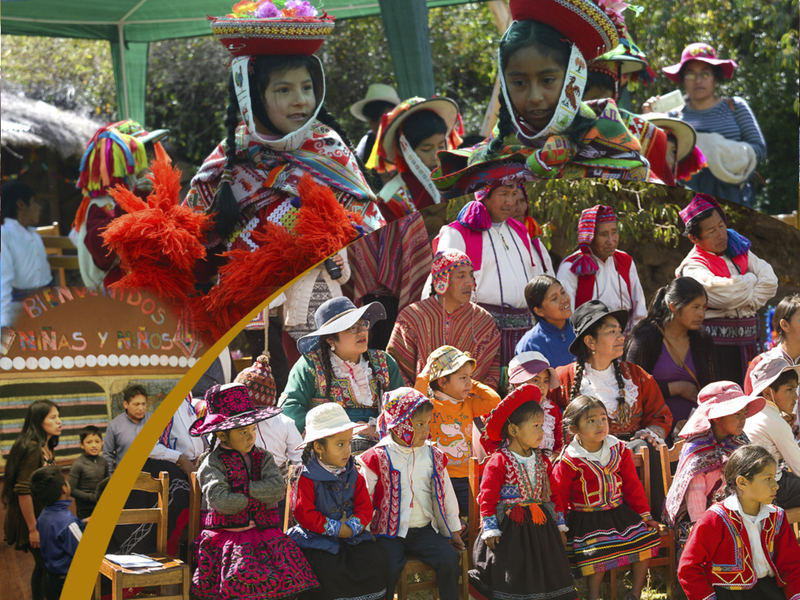 The purpose of the Andean Legacy Project’s Kusi Kawsay school is to empower Indigenous children and youth by reconnecting them with their cultural and traditional roots, inspire cultural pride and a dignified life. Guided by Indigenous teachers and elders, the Andean Legacy project facilitates a rich and profound knowledge to the students of the Kusi Kawsay Andean School, the youth of the Kusi Ñan Farm and the communities of the Sacred Valley. Like so many Indigenous peoples around the world, Andean people have faced discrimination, racism, marginalization and exclusion. These situations affect self-esteem, dignity and the right to enjoy basic human rights and have significantly impaired the capacity of people to protect sacred Mother Earth. The goal of this school is to transform and nurture its students by bridging past with present issues and future hopes. The Andean Legacy is a way of life that recognizes that peace, basic needs and rights cannot stem from harming another life, but rather peace is interdependent with the wellbeing of all of life. Leading by example, through actions and daily choices, students are shown how to lead a respectful, conscious and loving life that is sustainable for generations to come.